I won this film on eBay several months ago and have been meaning to blog about it ever since. Although this film was originally advertised as Jesus of Nazareth 1916, the usual source books did not list this film at all. I was hoping this was the 1928 film Jesus of Nazareth starring Philip van Loan so I emailed the seller to clarify, and they said that it was. So I was slightly disappointed to find out when the DVD arrived that it appeared to be a poor quality version of 1912's From the Manger to the Cross starring Robert Henderson-Bland. However, I decided to go through the film anyway just to see if there were any extra scenes added at all. The beauty of watching silent films on DVD is that you can play through at double or quadruple speed and still catch most things that are going on. Sadly it seemed that there was no new material. That is, until the film got to the end. 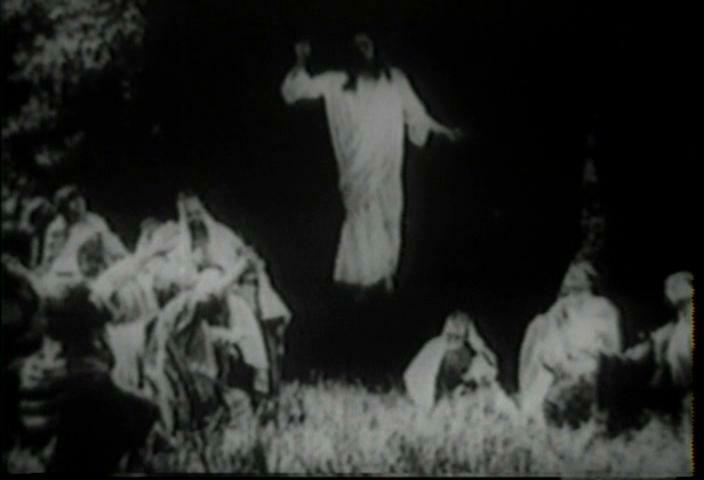 One of the things that is notable about the 1912 film is that there is no resurrection. This is a useful bit of trivia to quote to people from time who moan that modern(!) 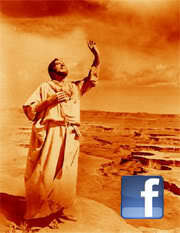 films about Jesus such as Jesus Christ Superstar and Last Temptation of Christ don't include the resurrection. This has in fact gone back as far as the earliest feature length Jesus films. Yet in this 1916 re-issue, all of a sudden there is a resurrection scene, not to mention a burial scene and an ascension scene. None of these scenes were present in the original 1912 film which literally looked at the life of Jesus from the manger to the cross. The second thing that was notable about these scenes was that the actor playing Jesus had changed. 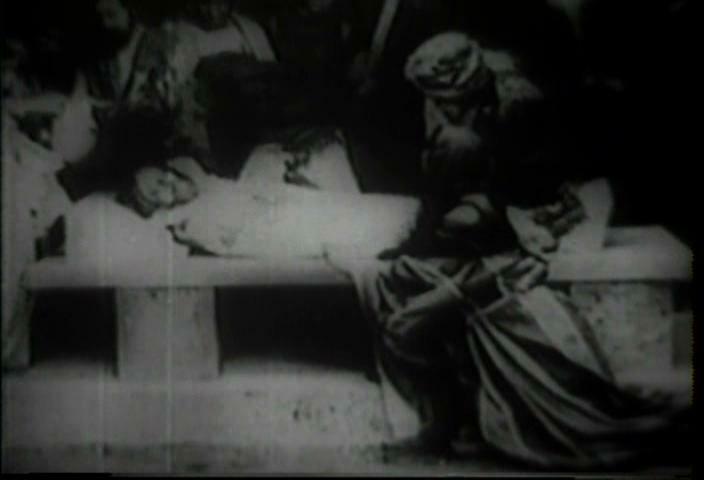 In the first part of the film the actor was Robert Henderson-Bland(see right), just as in From the Manger to the Cross. But in the final part it is a while before we even see Jesus's face - one shot even chops off the top of his head(see below) and when we finally do, it is clearly the face of a different actor (see above). Furthermore, the intertitles have changed replacing the gothic font with something more art deco, and dropping the bible quotations and references for a simple explanation of the scene. So it appears that we have a later re-issue of the film which decided to add in extra scenes on to the end. Theologically speaking this is very interesting. 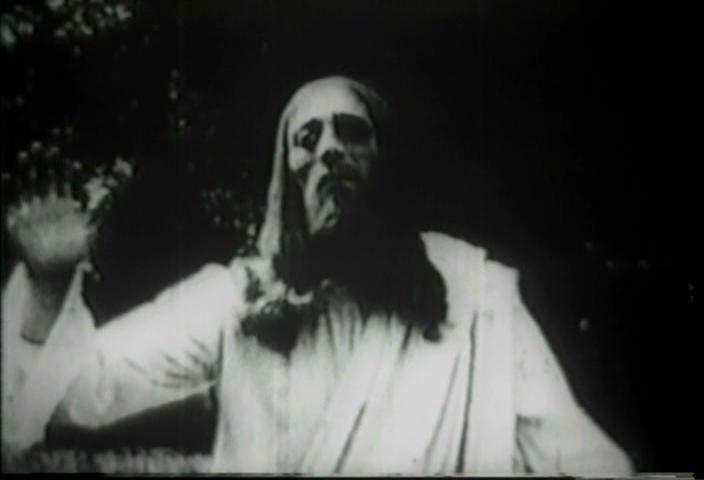 A few months back I was looking at two early Jesus films, The Life of Christ and The Death of Christ which appeared to bear some relation to The Life and Passion of Jesus Christ (1905). It was difficult to work out how the various films related to one another hence it dubbed it the Early Jesus Film Synoptic Problem. This film two seems to parallel another theological conundrum the ending of Mark's gospel. Whilst most translations still retain Mark 16:9-20 they usually acknowledge that it is absent in the most reliable manuscripts. Sadly, only a few include the various other endings that are found amongst the various manuscripts. It is generally agreed that both because these verses are often absent, and because they exhibit a dramatically different writing style that this is not the original ending to Mark. There are a number of different opinions on what actually happened. 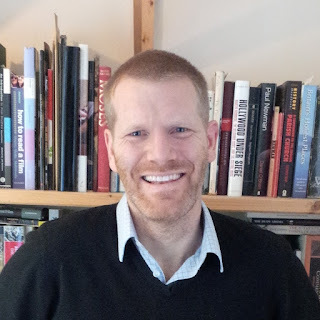 One theory is that Mark's gospel only ever went as far as 16:8 and was deliberately ended with things up in the air to form a theological challenge to the readers / hearers. Others, such as Tom Wright, suggest that there was an alternative ending that is lost to us. Both theories suggest that the Christian community (communities?) found the abrupt ending of Mark's gospel to be inadequate in some way and someone penned an ending which gradually gained acceptance. The parallels with the ending of this film should be obvious. Interestingly W. Barnes Tatum considered that From the Manger to the Cross was most similar to Mark's gospel. It appears that the abrupt ending of the film was later considered inadequate, perhaps because of similar criticisms to Jesus Christ Superstar, and so a new ending was concocted, with a markedly different Jesus, and a different writing style. At some stage I plan to draw out the parallels here in more detail and see what light the relationship between these two films may shed on the debate about the ending of Mark's gospel. Sadly, anyone wanting to buy a copy of this film will find that the eBay trader I bought mine from no longer sees to be offering any. However, you can get it on VHS from this eBay trader, although they consider this to be from 1928. It may, of course, be that the film I've been looking at was not re-issued in this form in 1916, but rather was released in 1928, coincidentally the same year as the Philip van Loan film with the same title. Unfortunately, despite a number of enquiries, I've yet to find anyone that is able to guarantee that they sell the 1928 van Loan film, and not this Henderson-Bland one. Having tried to buy the van Loan one twice, I am a little hesitant to part with more money without such a guarantee. If anyone knows where it can be bought for definite, I'd appreciate knowing. I think I have found out where your version of "Jesus of Nazareth" comes from. 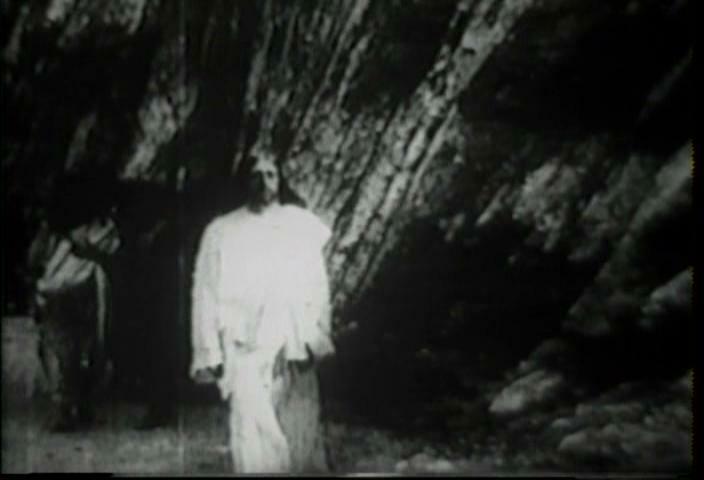 The original film - the full title of which was "From the Manger to the Cross; or Jesus of Nazareth" - was a five reel feature. But, according to the AFI Catalogue of Silent Films: "The Vitagraph Co. of America acquired Kalem's properties in Feb 1919 and, according to a modern source, released a six reel re-edited version of the film." (http://www.afi.com/members/catalog/DetailView.aspx?s=1&Movie=13552) Your DVD may well be that version, the additional reel being the scenes of the burial, resurrection and ascension. So 1919 is perhaps the correct date rather than 1916, as advertised on eBay. If all this is right, the question remains whether the additional scenes were newly shot by Vitagraph or "acquired" from some other source. Thanks for the info Witlessd. I remembered after buying the 1916 version of the film that the original film was also known as Jesus of Nazareth, but that's the first piece of evidence I can recall to date the longer edition discussed above. I'll re-check the books tonight to see if they say any more. 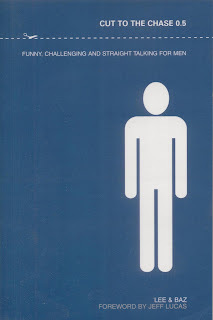 Matt, As you probably know, this film is available on YouTube. today, I was watching the scene of Jesus in the temple at the age of 12, and noticed an added scene, where Mary and Joseph watch through a window as Jesus teaching the elders. Quite nice. Hadn't realised, so I'll maybe check out that extra scene. 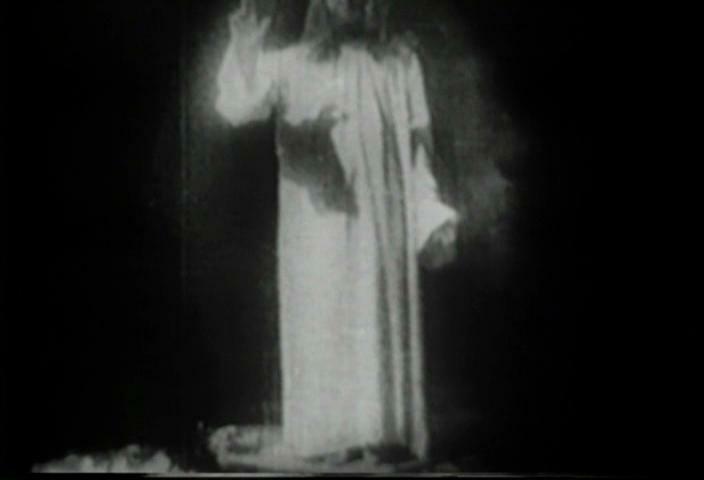 This does confirm my suspicions that the film available on ebay as the 1928 Jesus of Nazareth is actually this film. I'd still like to think it wasn't but don't want to risk the cash! I wanted the full Philip Van Loan version myself. A&E's documentary "The Story of the Twelve Apostles, " has excerpts with Van Loan as Jesus that are not in Manger to the cross/Jesus of Nazareth. I contacted A&E to enquire and got no response. After much research I believe the Philip Van Loan version may have deteriorated and the remains were featured in the A&E documentary and spliced long ago onto the manger and the cross. Hence the the two titles at the beginning of manger to the cross and the two actors in Jesus of Nazareth.